Una aventura animal a trav�s del mundo de los n�meros. 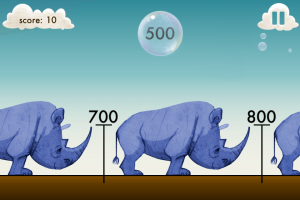 An animal adventure through the world of numbers! Give your child a chance to play with numbers - they'll have a blast zooming through the number line as they master place value. 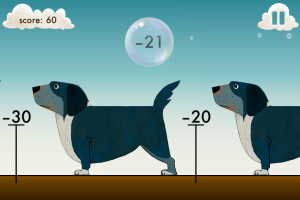 Motion Math Zoom's zoomable, stretchable number line is missing some numbers - it's up to your child to put the numbers back where they belong. The new game uses concrete objects to represent abstract numbers: from dinosaurs in the thousands down to amoebas in the thousandths. 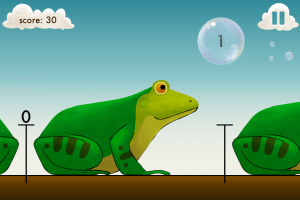 Fun animal animations and sound effects help elementary school children master the number line. * Free to try 6 levels; upgrade with In-App purchase to get all 24! Super-engaging? Check. Supported by research? 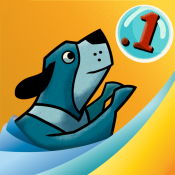 Indeed: the game teaches place value, a fundamental concept that will allow learners to develop flexible mental computation, numerical estimation, and quantitative judgment. Recent research suggests that understanding the number line has a profound impact on a children's future math ability. 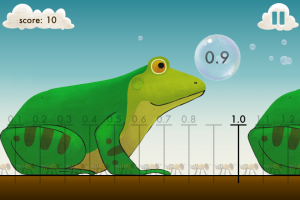 Play with numbers – play with Motion Math Zoom! Fixed a rare game freeze when using the needle. Estupenda app para reforzar los conceptos de unidad, decena, centena, relacionando el n�mero con tama�o; la forma de jugar consiste en integrar un n�mero donde le corresponde ofreciendo una visi�n de m�s a menos y viceversa muy interesante. Las im�genes son realmente bonitas, el aspecto est�tico est� muy cuidado.